Money Market Funds (MMFs) form a large and important sector of the European and global investment fund landscape. They perform an important role for many different types of investors (corporate treasuries, government bodies, not-for-proﬁt organisations, and retail investors) as a cash management and liquidity tool. Ireland is the premier location in Europe for establishing and servicing MMFs. MMFs can be established in Ireland as either UCITS or AIFs, although, in practice the vast majority of MMFs established in Ireland are UCITS funds. a variable NAV (VNAV) MMF. The Public Debt CNAV MMF will value assets under the amortised cost accounting methodology and must invest 99.5% of its assets in government backed securities. The LVNAV is permitted to use amortised cost accounting to value assets that have a residual maturity up to 75 days, while other assets must be valued at mark-to-market/mark-to-model. The LVNAV may display a stable share price per unit/share as long as this does not deviate by more than 20 bps from the price per unit/share as calculated under the mark-to-market/mark-to-model methodology. 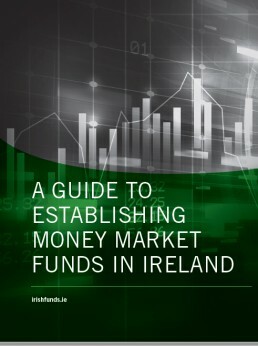 Get information on establishing a money market fund in Ireland.